Walsall born artist, CHU ( famous for his ‘Your Mum Rang’ sticker campaign) has produced a three colour signed screen print, limited to an edition of 50, 500mm x 700mm on archival acid-free, bright white Bread & Butter 270gsm. They’ll be available from the Dreweatts collections during February, further details here. 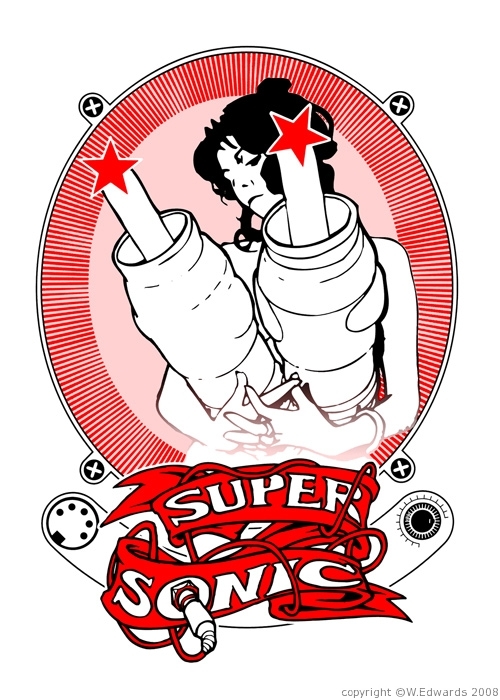 Designed for Supersonic Festival 2003 which saw live performances from Coil, V/VM, LCD Sound System and The Bug amongst a host of other fine acts. Brings back happy naive memories of building a stage over the ‘lake’ at the Custard Factory, until we realised we could have electrocuted the entire audience, happy days.